Another reliable Magento 2 module in the portfolio of Exto.io is called Store Credit. 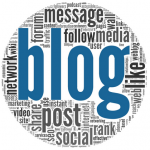 You can already find some similar extensions reviewed in our blog (Mirasvit, aheadWorks, Magestore), so it’s necessary to tell a few more words about their competitor. Below, we describe core features of the Exto.io Store Credit Magento 2 extension as well as shed light on its backend and frontend appearance. 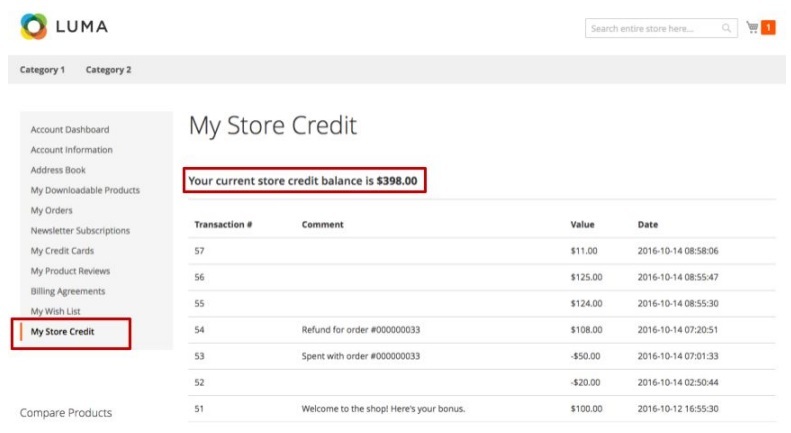 The main goal behind the Exto.io Store Credit Magento 2 module is to refund customers with the help of store credit. 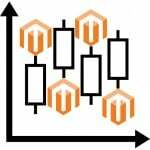 As a result, you provide advanced RMA functionality keeping more money in your account and at the same time making shoppers more loyal. The extension allows to manage a customer balance right from the backend interface, so you can motivate customers to purchase more by offering credits for free. 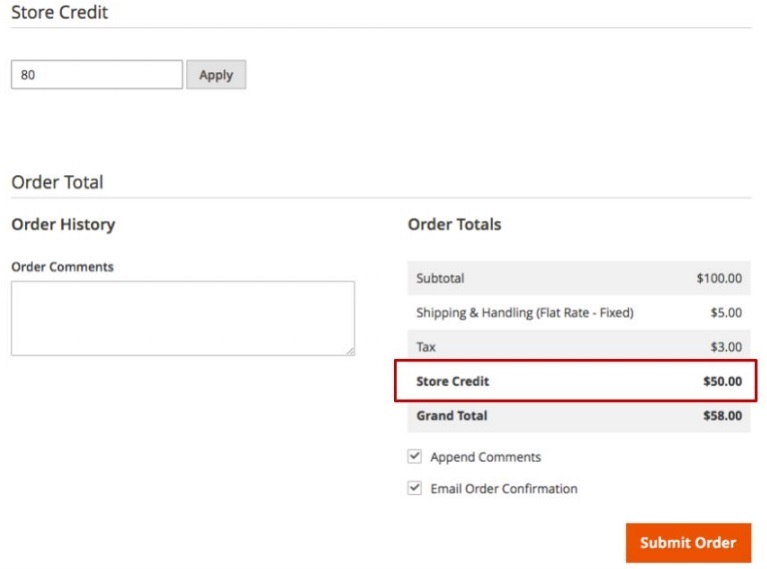 Furthermore, the Exto.io Store Credit Magento 2 extension allows to purchase credits in order to simplify further shopping. It is extremely important to be open with your customers, so providing them with the full history of transactions is always a good idea. And Exto.io Store Credit shows all the necessary information in both backend and frontend interfaces. Thus, registered shoppers and managers are always aware of every credit balance change. In addition to the information accessibility, a reliable store credit tool should also provide advanced usability and user-friendly interface. Luckily, the Exto.io Store Credit Magento 2 module is no exception. 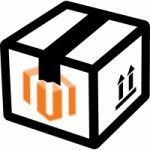 The extension seamlessly integrates into the default Magento 2 providing absolutely new features. Both admins and buyers can easily find new elements and manage them without any need to read long manuals or watch tutorials. As for the ability to pay with the credit, it has two options. You clients can either purchase a certain item using credits only or decide how much of their balance to spend combining credits with money. The feature is especially useful when the price of the desired item is less than the available amount of the credit. So, these were core extension’s features, and now we’d like to draw your attention to its backend interface. We’ve just mentioned that it is intuitive and easy to use and below you can see why we think so. The balance of each customer can be viewed under Customer -> All Customers. Here, you should only find a customer whose balance you’d like to see. The corresponding information is available in the Store Credit column. Besides, it is possible to view credit usage on the Order Details page. Go to Sales -> Orders and open the corresponding entry. On the bottom of the Order Information page, you can see the desired data. 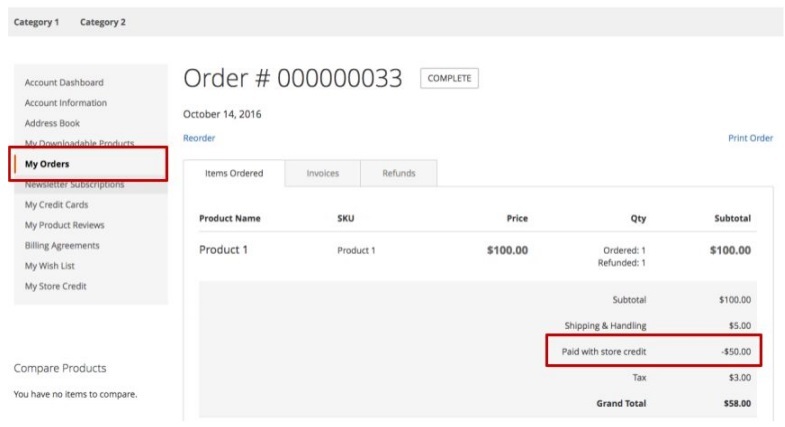 It is displayed in the Paid with Store Credit row of Order Totals. 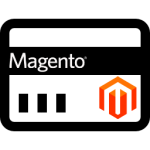 It is also necessary to mention that the Exto.io Store Credit Magento 2 extension allows to create new orders with the help of credits. Go to Sales -> Orders and create a new order. Add products and customer information. Then, On the bottom of the page, find the Store Credit section. Here, you can specify the amount that must be applied from the credit balance. Note that the value should be equal or less than the current balance. After you click Apply, the page reloads updating the Order Totals section. Now, we can tell a few words about the core extension’s goal. Do you still remember what it is? 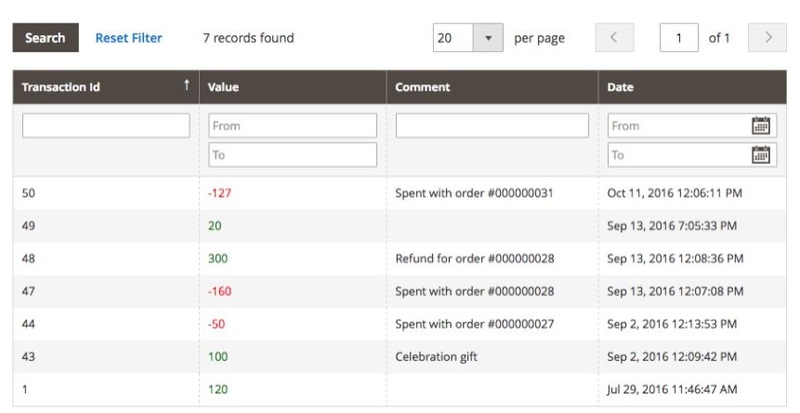 A better refund system, which saves your money and keeps customers loyal. 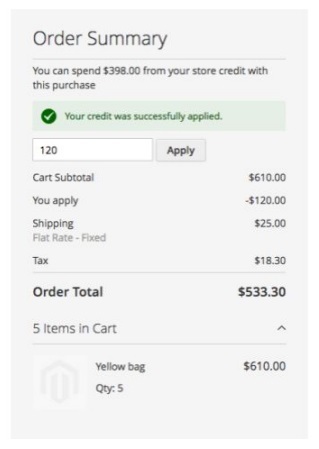 To refund with the Store Credit extension, go to Sales -> Orders -> Credit Memos. Here, you should create a new credit memo to indicate a refund value. 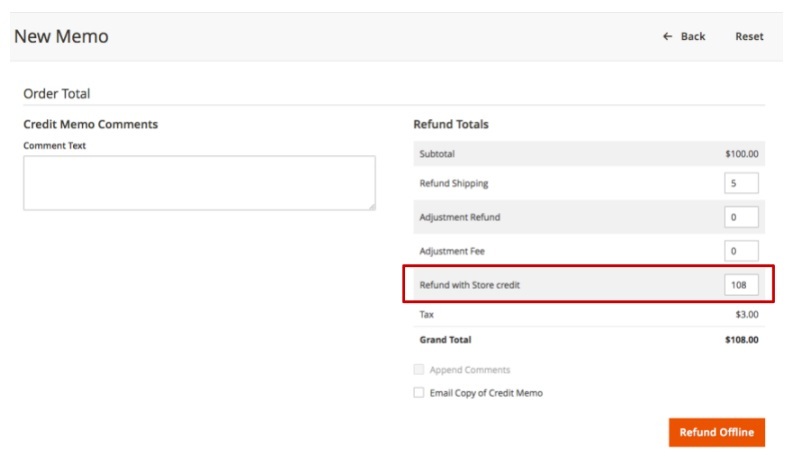 After you install the module, each memo gets the Refund with Store Credit field. Note that it is possible to refund only a part of the whole amount as a credit. As for all store credit transactions, they are available in a grid under Marketing -> Exto Store Credit -> Transactions. The grid shows transaction ID, customer name and email, transaction amount (green for positive and red for negative value), comment, and time of creation for each transaction. Admit that the Exto.io Store Credit Magento 2 module has a very intuitive and easy to use backend interface, but what about the frontend appearance? 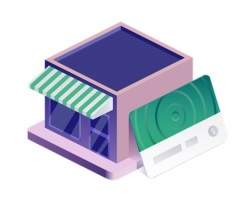 The customer account also gets a new area – My Store Credit. 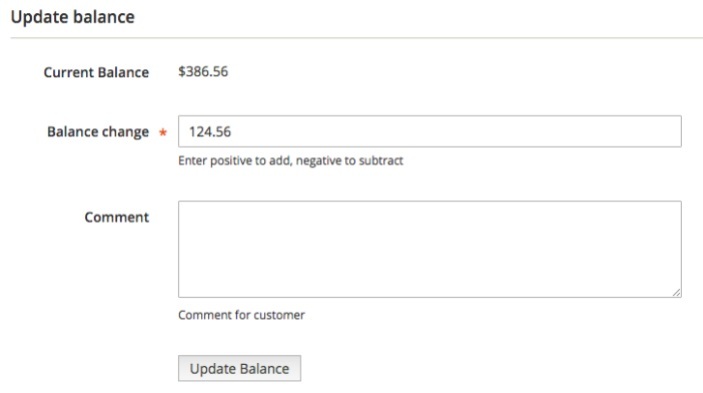 Here, a customer can view his or her credit balance as well as see all transactions. Furthermore, under My Orders tab, for each order, there is a field that illustrates the amount paid with the help of a store credit. It displays the maximum store credit amount that can be spent.